Hulu Plus, the much-criticized subscription offering from Hulu, has never been terribly impressive. Sure, it expanded the collection of television shows and movies available on Hulu, but none of the content was very good when you compared it to the awesome offerings on Netflix’s On Demand streaming. Well, it’s taken awhile, but finally Hulu Plus has offered something that might change your mind. 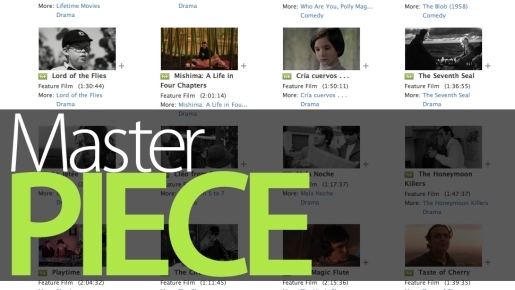 The entire Criterion Collection is coming to Hulu Plus. For those not in the know, the Criterion Collection is a collection of hundreds of DVDs, Blu rays, and laser discs that comprise the greatest movies ever made. These are the best of the best, the crowning achievements in cinema, and they are treated as such on the Criterion releases. The movies are digitally remastered to the peak of quality and every disc is loaded with expert commentaries, cast and crew commentaries, and all the special features that can be found or made to go with the films. These are brilliant releases for movies that deserve all the love and care they can possibly receive. I never thought I’d say this, but I may have to check out Hulu Plus now.